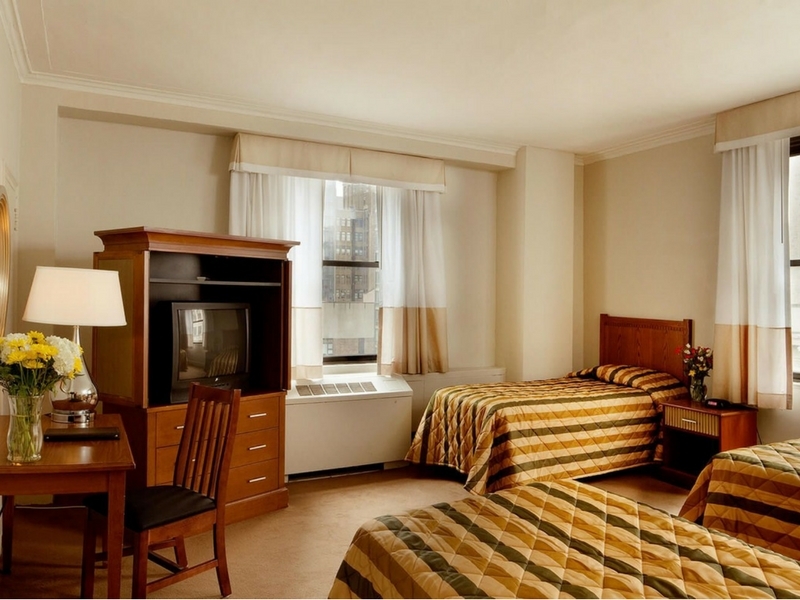 Dog Friendly hotels NYC – Hotel Pennsylvania: One of the biggest pet friendly hotels in NYC! If you don’t travel with just the humans in your family, we’re the hotel for you. We love to welcome our furry friends and your pawed family members into our hotel. We don’t care if you have a Yorkie or an English Mastiff, we accept your family how you are. That’s right. 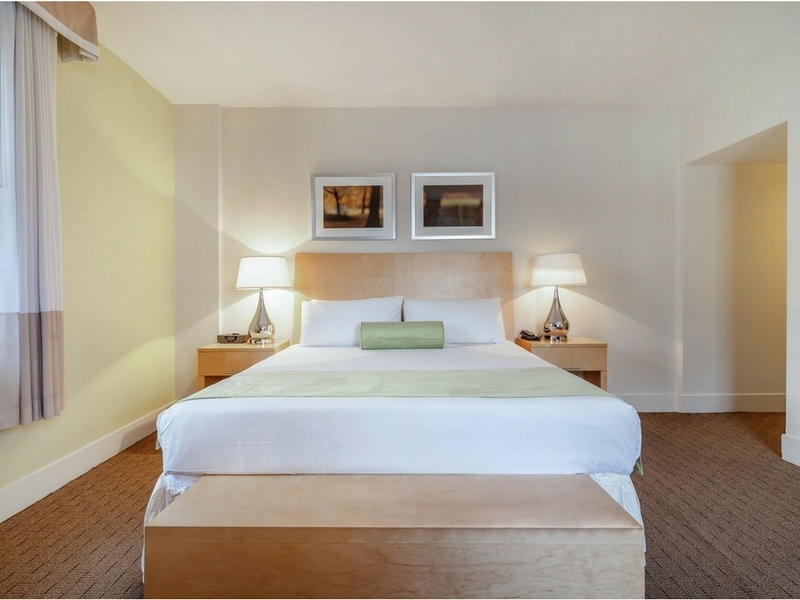 At just $25 per stay (plus tax), we’re not just pet-friendly; we’re wallet friendly. All sized dogs are welcome at Hotel Pennsylvania. As a hotel that proudly sponsors the Westminster Kennel Club Dog Show every year, it wouldn’t be right to discriminate on any dog simply based on breed or size. We love all dogs and we wouldn’t want any of them banned from our premises. As it is often said, dogs aren’t our whole lives but, they do make our lives whole. So, if you’re traveling with a dog, know that you can stay with us. We’re one of the top dog-friendly hotels in NYC, just ask our four-legged fans. If you do bring your pet to stay with us, don’t forget to share some pictures with the hashtag #HotelPennPets. We’re making a collage. When you bring your pet with you, make sure to prepare properly. Our policy does dictate the following. All pets must be kennelled when you’re not in the room. Guests are responsible for any damage done by their pet. Did we mention? We’re also a cat-friendly hotel. The same rules that apply to our canine friends apply to our feline friends as well. We watched Homeward Bound and know that the two can live harmoniously and create some amazing adventures. That being said, DO NOT release any of them into our hallways. If you want to take your pet for a walk, Hotel Penn is nearby the Hudson River Greenway, Bryant Park, and Madison Square Park. Bathing & grooming services available at Hotel Penn S'Paw with additional charges. Stay at one of the host hotels for the Westminster Kennel Club Dog Show. Champions and fans alike can enjoy the show, as featured on ESPN©, The New York Times©, and Los Angeles Times©. New York, NY - The Westminster Kennel Club Dog Show made its first appearance on television in 1948. To celebrate 70 years of sharing our passion for dogs with television audiences at home, Westminster along with its broadcast partner, FOX Sports, will air three consecutive days of expanded television coverage on three channels - FOX, FS1 and Nat Geo WILD. More than 3,200 dogs entered across three dog sports will entertain, enamor and excite dog lovers around the world. Dog Show Entries: Golden Retrievers (52), followed by French Bulldogs (48), Labrador Retrievers (46), Vizslas (45), Rhodesian Ridgebacks (43), Whippets (42), Australian Shepherds (37), Bernese Mountain Dogs (35), Doberman Pinschers (35), and German Shorthaired Pointers (34). Agility Entries: Border Collies (55), Shetland Sheepdogs (34), All-American Dogs (29), Golden Retrievers (18), Australian Shepherds (18), Poodles (18), and Papillons (15). Obedience Entries: Golden Retrievers (9), Border Collies (3) and Labrador Retrievers (3). Meet & Compete: On Saturday, Feb. 10, the Meet & Compete event featuring the 5th Annual Masters Agility Championship at Westminster and the 9th Annual AKC Meet the Breeds® will be held. This joint effort between The Westminster Kennel Club and the American Kennel Club provides an opportunity for people to interact with more than 150 dog and cat breeds and learn about responsible pet ownership. Information: For tickets to all events and the telecast and live streaming video schedules visit westminsterkennelclub.org. There are 2,882 dogs from 50 states and Washington D.C. with the most dogs from California (240), followed by New York (238), Pennsylvania (195), New Jersey (175), Florida (153), Virginia (135), Connecticut (128), Texas (121), Massachusetts (117), and Ohio (115). They include Junior Showmanship qualifiers (95) and 136 entries from 16 other countries, topped by Canada (102), Mexico (7), Japan (7), and Russia (5). The farthest entries are from Australia (1) and China (1). Sporting breeds (527): Brittanys (16), Lagotti Romagnoli (7), Pointers (17), Pointers (German Shorthaired) (34), Pointers (German Wirehaired) (7), Retrievers (Chesapeake Bay) (12), Retrievers (Curly-Coated) (7), Retrievers (Flat-Coated) (29), Retrievers (Golden) (52), Retrievers (Labrador) (46), Retrievers (Nova Scotia Duck Tolling) (21), Setters (English) (21), Setters (Gordon) (9), Setters (Irish) (22), Setters (Irish Red & White) (8), Spaniels (American Water) (2), Spaniels (Boykin) (3), Spaniels (Clumber) (3), Spaniels (Cocker) ASCOB (6), Spaniels (Cocker) Black (10), Spaniels (Cocker) Parti-Color (13), Spaniels (English Cocker) (18), Spaniels (English Springer) (30), Spaniels (Field) (12), Spaniels (Irish Water) (9), Spaniels (Sussex) (7), Spaniels (Welsh Springer) (13), Spinoni Italiani (12), Vizslas (45), Weimaraners (16), Wirehaired Pointing Griffons (13), Wirehaired Vizslas (7). Hound breeds (409): Afghan Hounds (17), American English Coonhounds (2), American Foxhounds (7), Basenjis (19), Basset Hounds (11), Beagles (13") (7), Beagles (15") (20), Black and Tan Coonhounds (2), Bloodhounds (8), Bluetick Coonhounds (11), Borzois (19), Cirnechi dell'Etna (11), Dachshunds (Longhaired) (16), Dachshunds (Smooth) (18), Dachshunds (Wirehaired) (22), English Foxhounds (1), Greyhounds (14), Harriers (3), Ibizan Hounds (6), Irish Wolfhounds (11), Norwegian Elkhounds (8), Otterhounds (4), Petit Basset Griffon Vendeens (14), Pharaoh Hounds (15), Plotts (4), Portuguese Podengo Pequenos (17), Redbone Coonhounds (3), Rhodesian Ridgebacks (43), Salukis (19), Scottish Deerhounds (5), Sloughis (1), Treeing Walker Coonhounds (9), Whippets (42). Working breeds (477): Akitas (12), Alaskan Malamutes (16), Anatolian Shepherd Dogs (4), Bernese Mountain Dogs (35), Black Russian Terriers (14), Boerboels (3), Boxers (17), Bullmastiffs (26), Cane Corsos (21), Doberman Pinschers (35), Dogues de Bordeaux (12), German Pinschers (12), Giant Schnauzers (12), Great Danes (28), Great Pyrenees (14), Greater Swiss Mountain Dogs (16), Komondorok (1), Kuvaszok (3), Leonbergers (16), Mastiffs (21), Neapolitan Mastiffs (5), Newfoundlands (17), Portuguese Water Dogs (18), Rottweilers (31), Samoyeds (26), Siberian Huskies (23), St. Bernards (8), Standard Schnauzers (20), Tibetan Mastiffs (11). Terrier breeds (333): Airedale Terriers (23), American Hairless Terriers (8), American Staffordshire Terriers (8), Australian Terriers (12), Bedlington Terriers (9), Border Terriers (13), Bull Terriers (Colored) (3), Bull Terriers (White) (4), Cairn Terriers (12), Cesky Terriers (13), Dandie Dinmont Terriers (3), Fox Terriers (Smooth) (18), Fox Terriers (Wire) (12), Glen of Imaal Terriers (7), Irish Terriers (5), Kerry Blue Terriers (14), Lakeland Terriers (9), Manchester Terriers (Standard) (10), Miniature Bull Terriers (8), Miniature Schnauzers (26), Norfolk Terriers (4), Norwich Terriers (16), Parson Russell Terriers (7), Rat Terriers (17), Russell Terriers (13), Scottish Terriers (7), Sealyham Terriers (6), Skye Terriers (6), Soft Coated Wheaten Terriers (10), Staffordshire Bull Terriers (14), Welsh Terriers (4), West Highland White Terriers (12). Toy breeds (373): Affenpinschers (9), Brussels Griffons (11), Cavalier King Charles Spaniels (32), Chihuahuas (Long Coat) (23), Chihuahuas (Smooth Coat) (18), Chinese Cresteds (31), English Toy Spaniels (Blenheim & Prince Charles) (6), English Toy Spaniels (King Charles & Ruby) (8), Havanese (24), Italian Greyhounds (20), Japanese Chin (13), Maltese (14), Manchester Terriers (Toy) (7), Miniature Pinschers (12), Papillons (14), Pekingese (12), Pomeranians (24), Poodles (Toy) (10), Pugs (22), Shih Tzu (15), Silky Terriers (11), Toy Fox Terriers (12), Yorkshire Terriers (25). Non-Sporting breeds (297): American Eskimo Dogs (12), Bichon Frises (12), Boston Terriers (16), Bulldogs (22), Chinese Shar-Pei (9), Chow Chows (10), Cotons de Tulear (8), Dalmatians (26), Finnish Spitz (5), French Bulldogs (48), Keeshonden (16), Lhasa Apsos (14), Lowchen (2), Norwegian Lundehunds (2), Poodles (Miniature) (9), Poodles (Standard) (25), Schipperkes (8), Shiba Inu (14), Tibetan Spaniels (12), Tibetan Terriers (16), Xoloitzcuintlis (11). Herding breeds (384): Australian Cattle Dogs (15), Australian Shepherds (37), Bearded Collies (19), Beaucerons (8), Belgian Malinois (16), Belgian Sheepdogs (8), Belgian Tervuren (8), Bergamasco Sheepdogs (7), Berger Picards (19), Border Collies (12), Bouviers des Flandres (10), Briards (17), Canaan Dogs (2), Cardigan Welsh Corgis (24), Collies (Rough) (21), Collies (Smooth) (15), Entlebucher Mountain Dogs (6), Finnish Lapphunds (6), German Shepherd Dogs (14), Icelandic Sheepdogs (7), Miniature American Shepherds (19), Norwegian Buhunds (7), Old English Sheepdogs (10), Pembroke Welsh Corgis (21), Polish Lowland Sheepdogs (13), Pulik (3), Pumik (10), Pyrenean Shepherds (6), Shetland Sheepdogs (11), Spanish Water Dogs (8), Swedish Vallhunds (5). States (50):Alaska (7), Alabama (14), Arkansas (3), Arizona (26), California (240), Colorado (47), Connecticut (128), Delaware (14), Florida (153), Georgia (54), Hawaii (7), Idaho (12), Illinois (68), Indiana (40), Iowa (18), Kansas (14), Kentucky (22), Louisiana (27), Maine (20), Maryland (75), Massachusetts (117), Michigan (89), Minnesota (35), Mississippi (7), Missouri (21), Montana (5), Nebraska (4), Nevada (9), New Hampshire (26), New Jersey (175), New Mexico (9), New York (238), North Carolina (96), North Dakota (1), Ohio (115), Oklahoma (36), Oregon (28), Pennsylvania (195), Rhode Island (19), South Carolina (47), South Dakota (2), Tennessee (40), Texas (121), Utah (8), Vermont (20), Virginia (135), Washington (89), West Virginia (10), Wisconsin (50), Wyoming (5). Other: Washington D.C. (4). Other Countries (16): Australia (1), Brazil (1), Canada (102), China (1), Columbia (1), Costa Rica (1), Finland (1), Germany (1), Greece (2), Italy (1), Japan (7), Mexico (7), Russia (5), South Korea (3), Spain (1), and Sweden (1). Breeds (66): All-American Dogs (29), American Eskimo Dogs (2), American Staffordshire Terriers (1), Australian Cattle Dogs (1), Australian Shepherds (18), Basenjis (1), Beagles (1), Bearded Collies (6), Bedlington Terriers (1), Belgian Malinois (1), Belgian Sheepdogs (2), Belgian Tervuren (2), Berger Picards (1), Bernese Mountain Dogs (2), Bichon Frises (5), Biewer Terriers (1), Border Collies (55), Boxers (1), Brittanys (1), Bull Terriers (1), Carin Terriers (1), Cardigan Welsh Corgis (3), Cavalier King Charles Spaniels (10), Chihuahuas (3), Cocker Spaniels (6), Curly-Coated Retrievers (1), Dachshunds (3), Dalmatians (2), Doberman Pinschers (1), English Cocker Spaniels (7), Finnish Lapphunds (1), Flat-Coated Retrievers (1), Fox Terriers (1), German Shepherd Dogs (4), German Shorthaired Pointers (1), Golden Retrievers (18), Irish Red & White Setters (1), Irish Setters (1) Italian Greyhounds (2), Keeshonden (1), Labrador Retrievers (11), Manchester Terriers (2), Miniature American Shepherds (4), Miniature Pinschers (2) Miniature Schnauzers (1), Norfolk Terriers (2), Nova Scotia Duck Tolling Retrievers (1), Papillons (15), Parson Russell Terriers (5), Pembroke Welsh Corgis (6), Pomeranians (3), Poodles (18), Portuguese Water Dogs (1), Pugs (1), Rat Terriers (3), Rhodesian Ridgebacks (1), Rottweilers (2), Salukis (1), Scottish Terriers (2), Shetland Sheepdogs (34), Shiba Inu (2), Siberian Huskies (1), Staffordshire Bull Terriers (1), Toy Fox Terriers (3), Vizslas (1), West Highland White Terriers (5), Yorkshire Terriers (2). nutritionists, it is our goal to provide dogs with the nutrition they need to be their absolute best, to help keep them energetic and resilient, and to maintain an ideal body condition, healthy skin and a stunning coat. Because being the best he can be means something different for every dog, our wide range of dry and wet foods and snacks, sold exclusively at pet specialty stores, can be found in 80+ formulas across four specialized categories, formulated for a dog's unique needs. For more information, visit www.proplan.com or follow @ProPlan on Twitter, Instagram, Facebook, Vine or Google+. The brand is manufactured by Nestle Purina PetCare, which promotes responsible pet care, humane education, community involvement and the positive bond between people and their pets. A premiere global manufacturer of pet products, Nestle Purina PetCare is part of Swiss-based Nestle S.A., a global leader in nutrition, health and wellness. About Meet the Breeds: From Afghan Hounds to the Turkish Van and everything in between, AKC Meet the Breeds® is brought to you by exclusive pet care sponsor Purina Pro Plan. The ninth annual event gives pet lovers the unique opportunity to meet and play with more than 150 different dog and cat breeds in booths individually decorated to depict each breed's country of origin, historical purpose/function, and attributes as a family pet, all while learning about responsible pet ownership and which breeds may be right for them. Event sponsors include AKC Pet Insurance, Motel 6, AKCSM Visa® Card and Pet Brands, Inc. For more information, visit www.akc.org/meetthebreeds. New York, N.Y. - The Westminster Kennel Club announces its inaugural Westminster Gives Back Dog Rescue Awards of $5,000 each to American Kennel Club (AKC)-recognized national breed clubs engaged in dog rescue activities. The first three winners are the Bearded Collie Club of America, English Cocker Spaniel Club of America (ECSCA) Health and Welfare Organization, and Great Pyrenees Club of America. The three donations totaling $15,000 will be presented at Madison Square Garden during the 142nd Annual Westminster Kennel Club Dog Show on Monday evening, Feb. 12, 2018. Each year, Westminster donates to a dog-related charity from the proceeds of its annual art contest's commemorative poster and notecards sales. For 2018, the donation increased to $15,000 to assist three national breed clubs in offsetting rescue-related expenses such as transportation, veterinary care, grooming, boarding, feeding, and training. In addition, these funds will assist the clubs in educating new owners about the joy of owning their specific breeds while finding new homes for purebred dogs. About the American Kennel Club - Founded in 1884, the American Kennel Club is a not-for-profit organization, which maintains the largest registry of purebred dogs in the world and oversees the sport of purebred dogs in the United States. The AKC is dedicated to upholding the integrity of its registry, promoting the sport of purebred dogs and breeding for type and function. Along with its more than 5,000 licensed and member clubs and its affiliated organizations, the AKC advocates for the purebred dog as a family companion, advances canine health and well-being, works to protect the rights of all dog owners and promotes responsible dog ownership. More than 22,000 competitions for AKC-registered purebred dogs are held under AKC rules and regulations each year including conformation, agility, obedience, rally, tracking, herding, lure coursing, coonhound events, hunt tests, field and earthdog tests. Affiliate AKC organizations include the AKC Humane Fund, AKC Canine Health Foundation, AKC Reunite and the AKC Museum of theDog. 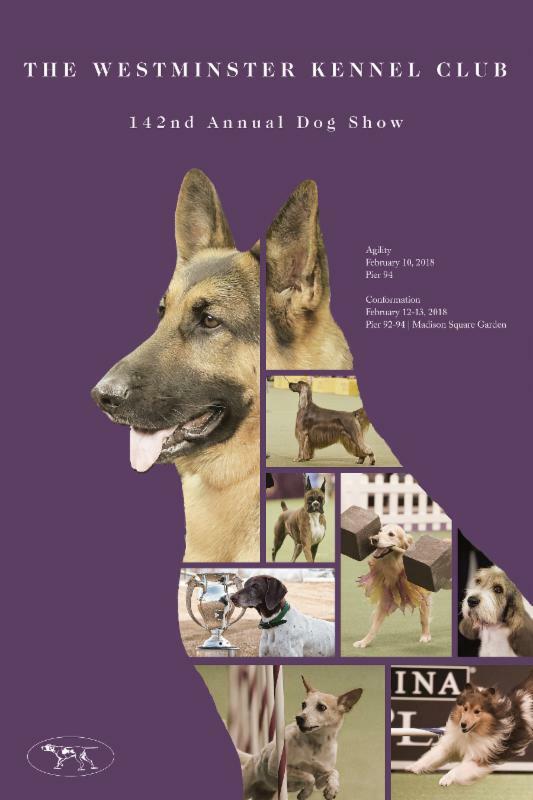 For more information, visit http://www.akc.org. This is a special time of year to be in New York. You can save up to 30% on our rooms when you book directly through our website. Avoid the hidden fees and get the best price GUARANTEED when you book direct. 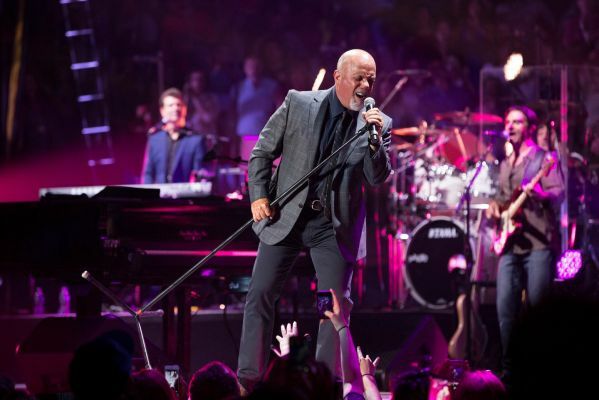 From Billy Joel to UFC, The Garden has some must-see events in November! 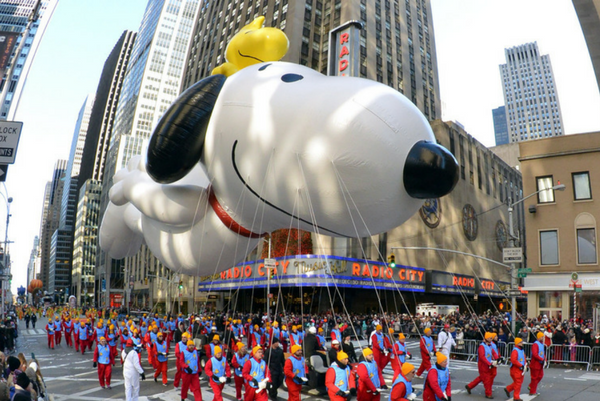 There is a lot more going on in NYC than just the Macy's Thanksgiving Day Parade. We'll show you. ​We support our troops. 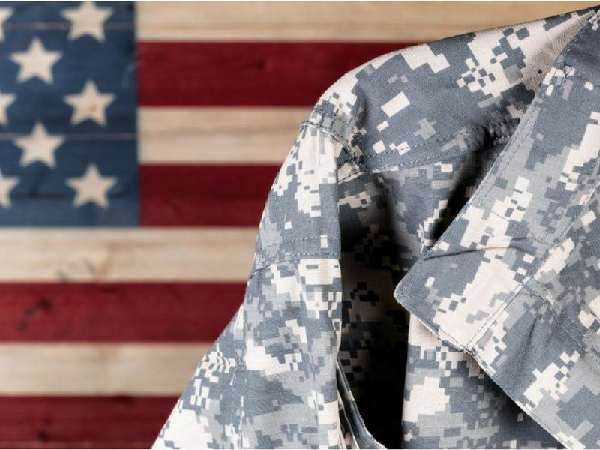 Extra 10% off our best rate for all military personell. 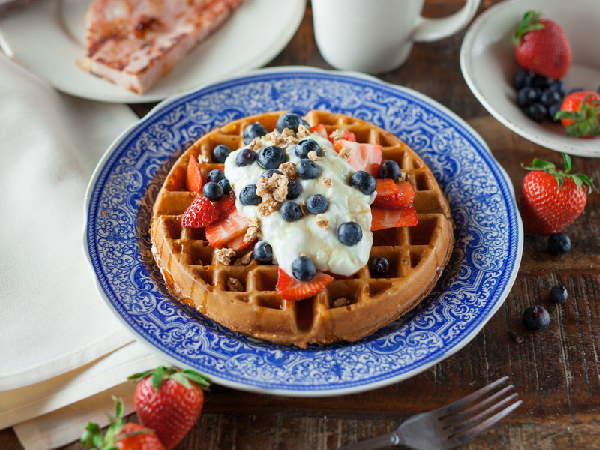 Take the stress out of finding a good place for breakfast.